Maine lobster is a decadent treat that many people love. 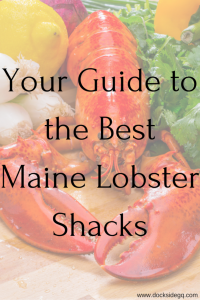 There is no better way to taste this delicious seafood than straight from the Maine lobster shacks. Treat yourself to a tasty the next time you’re in York, Maine! As the most sought after lobster in the world, Maine lobsters love the cold, rocky bottom of the Maine ocean waters. Maine lobsters are harvested year-round, but most are captured between June and late December while they are most active. During the colder months, lobsters do not move around as much and therefore not as many are trapped. Lobsters caught in Florida or Southern California are spiny or rock lobsters which only have meat in their tails. Maine lobsters, on the other hand, have large claws that also contain meat. When it comes to gender, male and female lobsters taste the same, but sometimes females will carry eggs. Once cooked, these eggs turn a bright red and are called “roe.” Many people enjoy eating roe and you can often find it atop sushi rolls. Enough about the Maine lobster, it’s time to satisfy your craving and dive into a delicious lobster meal. Located only 10-minutes from Dockside Guest Quarters, Chauncey Creek Lobster Pier is a great place to get your lobster fix. Chauncey Creek Lobster Pier is not open year-round so make sure to plan your trip according to their varying hours throughout the year. From Mother’s Day through Labor Day, they are open every day of the week from 11 am to 8 pm. After Labor Day through Columbus Day, they are open Tuesday through Sunday from 11 am to 7 pm, but they are always closed the Tuesday after Labor Day. Established in 1948, Chauncey Creek Lobster Pier has been a self-proclaimed “lobster in the rough.” It offers a quintessential Maine dining experience for the whole family. If you’re out for a ride on a boat, feel free to dock at the pier to grab a bite to eat. One unique feature is that they are a BYOB (bring your own beer/booze/bottle) establishment. They recommend pairing a bottle of wine with their fresh lobster and shellfish or heading down to Tributary Brewing Co. and picking up a growler of their handcrafted beer to accompany your meal. From lobster rolls to classic boiled lobster, you are guaranteed to fix that lobster craving you’ve had since arriving in Maine. Residing in the heart of Perkins Cove, The Lobster Shack has been around since the 1980s by the Evans family. Locally known as The “Shack,” they specialize in lobster, steamers, lobster rolls, chowder, and a friendly, casual atmosphere. Ranked #8 of 85 places to eat in Ogunquit, ME, and featured on the Today Show, you have to make a point to stop by and grab a bite to eat. While planning a trip to Maine to visit these decadent eateries during lobster season, make sure to book a stay with us at Dockside Guest Quarters. 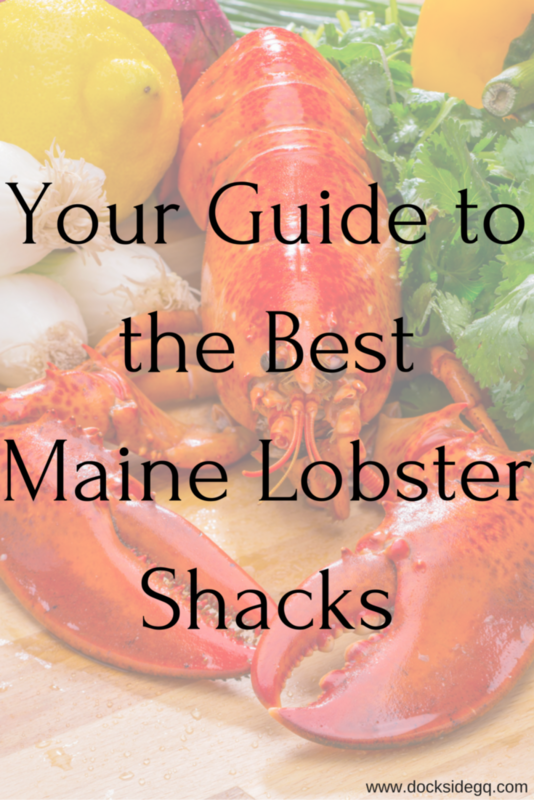 Located within 30 minutes of our property, both of these Maine lobster shacks are great choices.